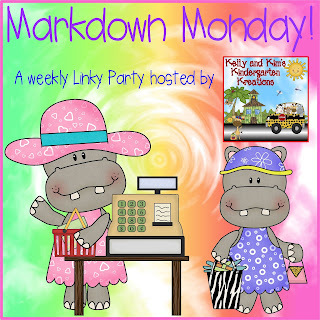 like to "markdown" until Sunday, March 20th. This is a fun center for your students to practice isolating the beginning sounds of words. This center includes 26 flowerpots with letters and 26 flowers with pictures on them. We have also included words for the children to match to the flowerpots for more of a challenge if they need it! The flowerpots each have a letter of the alphabet written on them. Children should first put the letters in correct alphabetical order. Next, the children will add the flower to the correct flowerpot. Each flower has a picture on it. 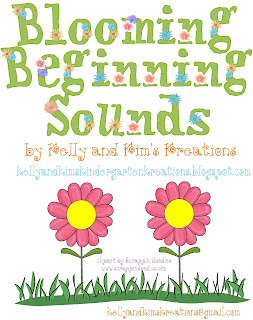 Children will say the word out loud and determine the beginning sound of the word. They will then match the flower to the pot with the letter that has the beginning sound of the object pictured. After all the flowers are in the right pot, children will then add a word to the top of the pot. The word will match the picture that is in the middle of the flower. 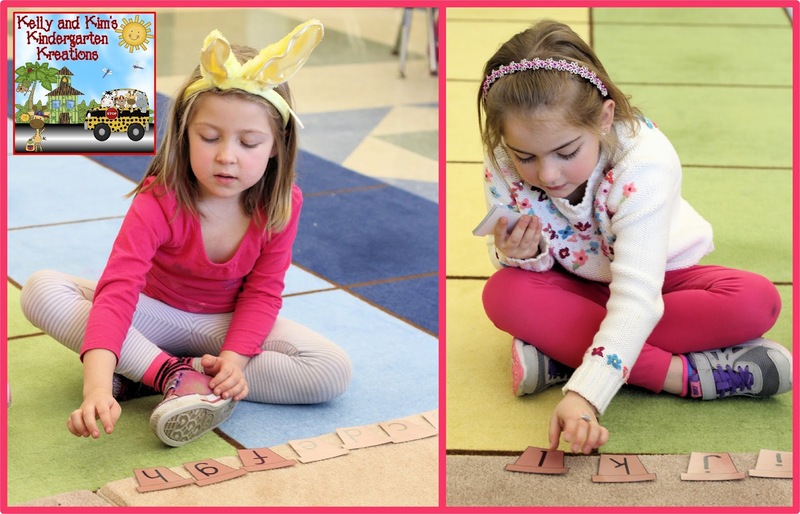 We have included some tricks too, so they really have to pay attention to the letters and sounds in the whole word. This pack also includes several assessments for you to use as center follow-up, seat work, or even homework! 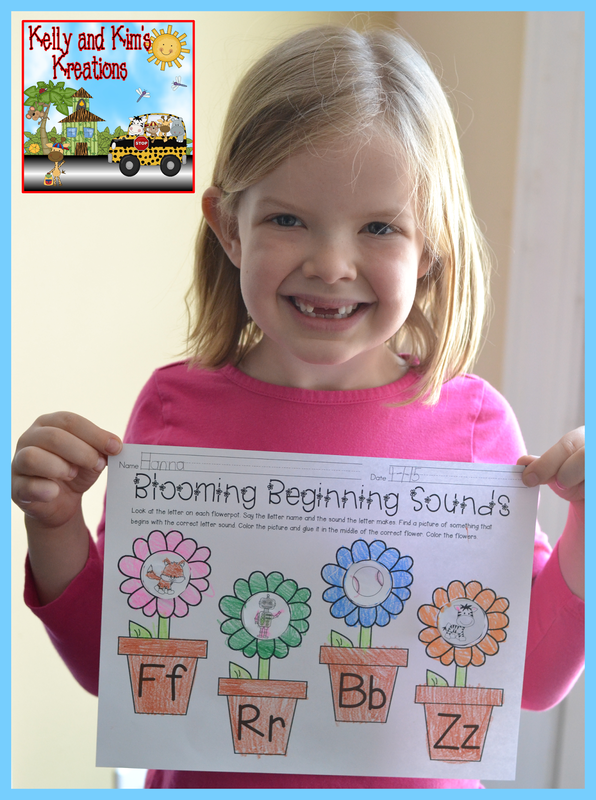 Children will find the words that begin with the letter on each flowerpot, then color the pictures, cut them out, and glue them to the correct flower. Super springtime fun! Look how proud she is! 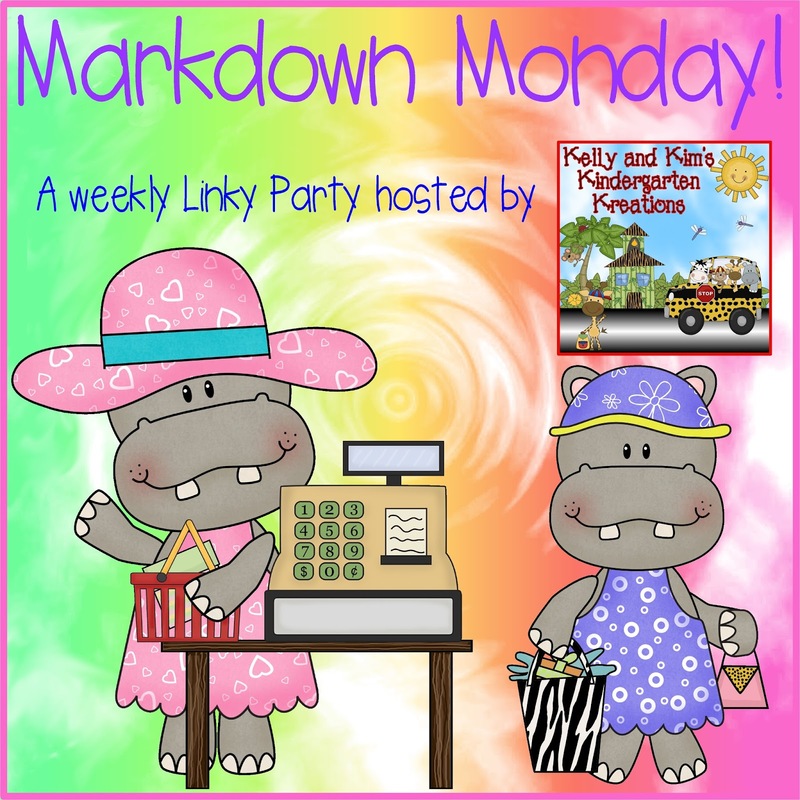 Springing into Learning Blog Hop!